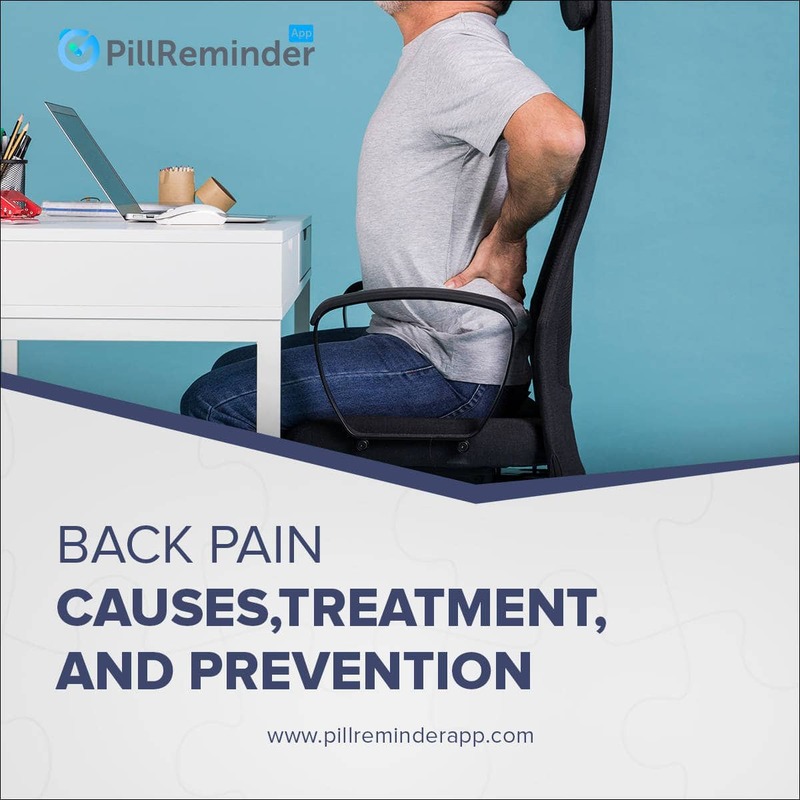 Pill Reminder is a free and reliable medication reminder app to help patients across the world take prescriptions on time. 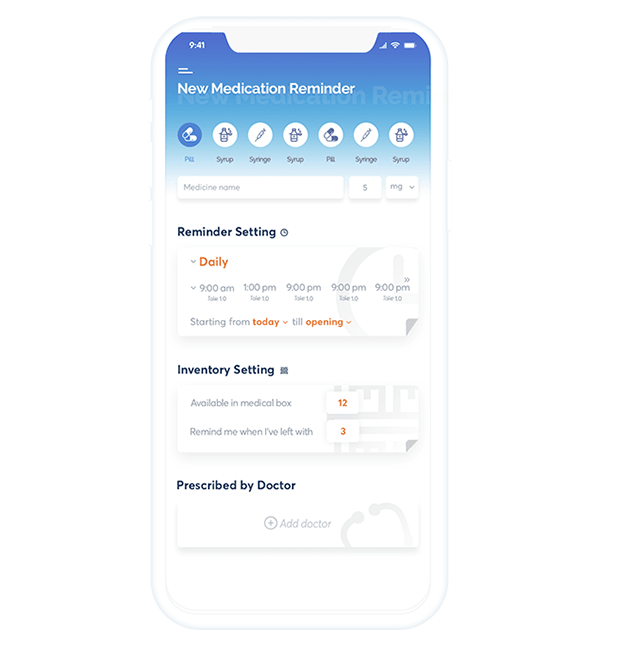 This app uses notification alerts to remind registered users when their medications are due based on the schedules set in the app. Stores all your medications, different dosages, and sends reminders when its time to take them. Here you set reminders and see all your upcoming daily, weekly, monthly, and yearly doctor appointments. Great for patients who need to regularly visit the doctor. Creates a timeline of your blood pressure, sugar level, glucose level, to demonstrate your health progress. Carries built-in vaccination templates to keep your kids protected against illnesses to which they are most vulnerable by sending reminders on your phone. Honestly used to be so bad at remembering my meds, or if I had already taken them or not. Having an actual check mark is awesome. Wish it would stop asking me if I want to optimize. By using this app i can say its helpful app for me, a good step by developers to keep track of our medication. Nice app!! I purchased it, it was worth it. Liked the idea for vaccine templates. Overall a nice effort. Found a couple of cool features especially recording your doctor visits and vaccine reminders. The Pill Reminder App is available on both Android and iOS stores. Click on the buttons below to download the app from each store. In this age of technology, it’s no wonder that everyone has gotten a lot busier which ultimately makes us forget taking medications on time. No one is safe from missing doses or taking wrong measurements by mistake. This, as a result, puts us at serious health risks. The Inability to properly follow a medication plan can severely damage an individual’s wellbeing and may even result in hospitalization. A great way to reduce these worries is to use technology. 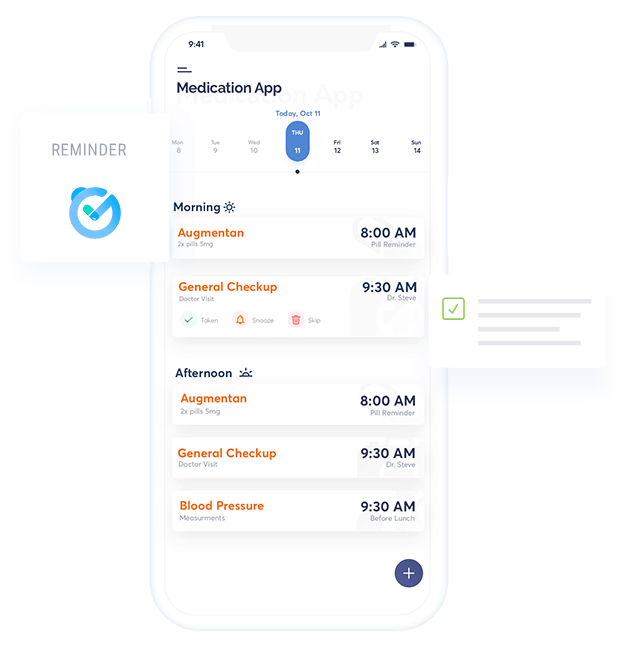 Since this is the age of mobile innovation, our savvy application developers have developed this Pill Reminder App to help individuals follow their medication plans. This app is available to both Android and iOS users. It aims to enhance medication adherence for patients with crazy-busy life. Also, the simple UI makes it a great tool even for those not so familiar with modern technology. This app is perfect for patients of all ages. But particularly for seniors as they tend to forget about doses. It enables you to schedule various drugs with their routine and frequency. 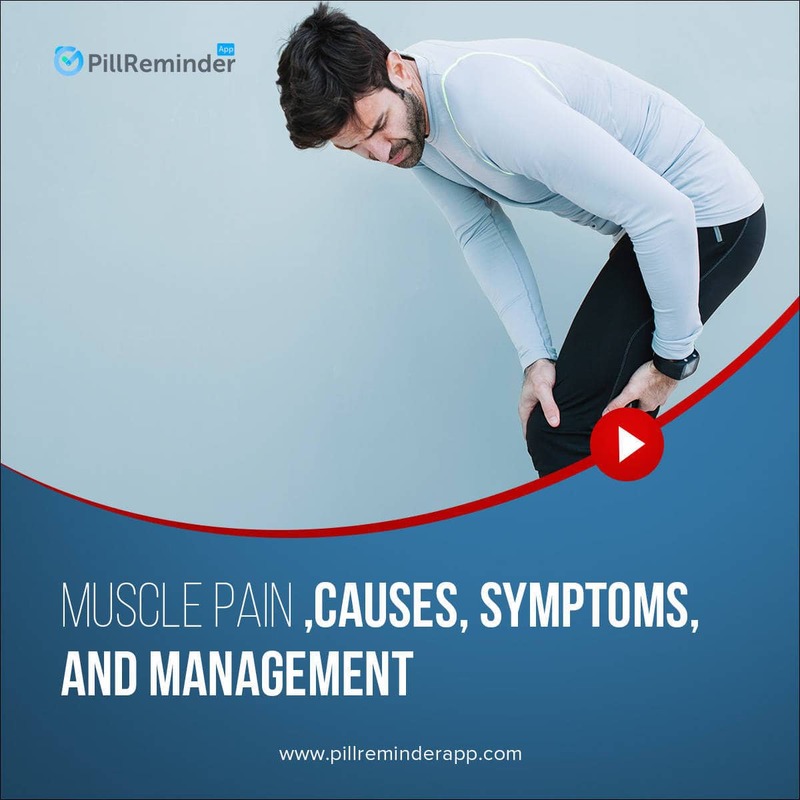 The app is easily available on Google Play Store and Apple App Store and offers simple navigation to help you create your entire medication cycle. Additionally, you can perform many tasks such as drug intake monitoring, various health measurements, and more using this application. It stores all your treatment record and can generate weekly, monthly, or yearly reports to help your specialist with the progress. Plus, it helps you find the right specialist to get the right treatment. The most important section of the app! This is where you manage all your medications. It lets you set reminders on each medication to avoid missing doses. It also helps you adhere to medication schedule by reminding you to take the dosage through notifications. To set reminders, you will first need to mention whether you are taking pills, syrups, or syringes. You can set reminders on them collectively or separately, depending on how you use them. Daily reminders, weekly reminders, monthly reminders, and yearly reminders are all available here. Another great feature of this section is Inventory Setting. Here you can enter the number of medications left in your medical box. And tell it to send an alert when you are left with a certain number. For example, if you have 12 pills in the medical box and want to be reminded when only 3 are left, just enter 3 in ‘Remind me when I’m left with’ box. The app will notify that ‘You are running out of medication’ as soon as you reach that amount. This section lets you store various health measurements such as blood pressure readings, heartbeat rate, sugar level, etc. It contains standard measurements for each health problem and matches them with the readings you take to see if you are doing well. For example, the normal blood pressure reading is 120/80. If you are blood pressure patient, take readings on daily basis and compare the chart being formed on Measurement Detail Page with the standard reading to see where you need to improve. Also, this section creates a timeline of each reading on daily, weekly, monthly, and yearly basis. Using this timeline, your specialist can easily monitor the progress being made. And based on that progress, they will decide whether or not to make any changes to the current way of treatment. A great feature for those who regularly visit doctors. Here you will set reminders on all your upcoming clinic visits. To start using this feature, first thing you will need to do is to add the doctor to the Pill Tracker App. By entering doctor’s name, phone number, clinic name, and specialization, he will be added to the database. Next, you will enter the date and time at which the visit will occur. An awesome thing about this section is that it lets you record the audio of the entire conversation between you and doctor. This will help you keep record of doctor’s advice and play it over and over until the confusion – if any – is gone. Also, the Important Note feature in this section helps you take written notes of everything that the doctor says. Later, these notes can be used to follow instructions without having to ring your doctor every time you forget something. When life gets busy and you forget to visit your doctor, a quick alert from this app will help you stay fit and healthy by reminding you to take the visit. To ensure healthy growth of your kid, timely vaccinations are important for him. But due to complex schedules, parents with busy lives often struggle to get their kids immunized in time. To make things easier, use the Vaccine Reminder feature of our app. Here you will find numerous vaccination schedule templates. In Active Vaccines, you will see a list of vaccines that your kid is currently on. It carries built-in templates for infections like measles, polio, severe hack, and others. Here you can set reminders to help your kid with timely immunizations. If the built-in templates don’t fit your schedule, you can even create a personalized one to make things a little less demanding for yourself. On the other hand, the Schedule Vaccine lets you set reminders on vaccines that your kid is not currently taking, but is likely to take in 6 months or a year from now. Over the years, following vaccination schedules has become a lot tougher. But with this medication reminder app, we hope that things will become a bit easier so that you don’t forget taking doses in this crazy-busy world.